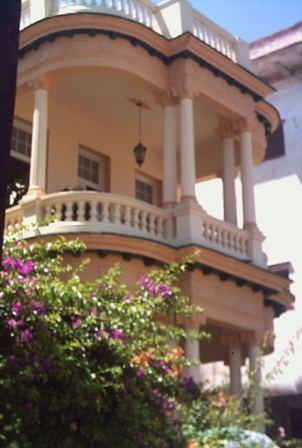 Our house is located in Vedado, one of the most beautiful areas in Havana. With plenty of trees and parks it is only a few minutes from everywhere in Havana. Each room has its own bathroom, air conditioner, safe box, TV, and a fridge. This guest house is perfectly situated, making it a great base to explore this beautiful and historic city. Vedado is the downtown and a vibrant neighbourhood in the city of Havana, Cuba. Bordered on the east by Central Havana, and on the west by the Miramar/Playa district. The main street running east to west is Calle 23, also known as ‘La Rampa’. The northern edge of the district is the waterfront breakwater known as the Malecón, a famous and popular place for social gatherings in the city. Vedado is part of the municipality Plaza de la Revolucion. Latin America’s best-preserved colonial city, Havana is one of the oldest, grandest and safest cities in the Americas, and packs a cultural punch well beyond its size and certainly beyond its economic status. Centuries of Spanish and African interaction have made it a hotbed of culture and the vibrancy of Cuban music and dance alone make it worth the trip. Add in palm trees and a tropical climate and you have a potent cocktail. Ice-cream coloured colonial buildings, cool squares and the waves lapping against the crumbling sea wall make it visually bewitching, while charismatic habaneros take care of the rest.